The International Detention Coalition is deeply concerned by developments in Belgium relating to the detention of families with minor children. In September 2014, a new royal decree was passed which provides for a set of increasingly coercive measures to be placed on families to ensure their cooperation in the return process, culminating in the possibility of detaining one family member. This is a deeply worrying development, given the negative and traumatic impact family separation can have on children. Furthermore, the new Belgian government has announced its intention to develop facilities to detain families with minor children for migration-related reasons. The government, which was sworn in in October 2014, reportedly plans to use the new facilities to detain families who are uncooperative or avoid supervision. This is a clear step backwards, both for the families and children who are now at risk of detention, as well as for Belgium as a society and member of the international community. Since 2008, Belgium has been using alternative to detention – open return houses – which allow families with minor children to live in the community with a level of freedom of movement, while their migration status is being determined and while awaiting return. Because of this, Belgium has been held up as a positive example of a state that does not detain children or families and has developed effective and workable alternative that better protects their welfare. 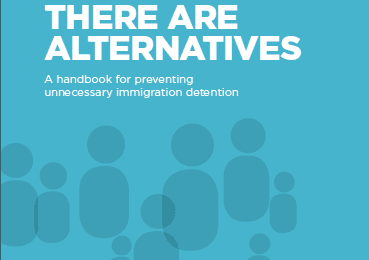 The Immigration Office has been invited by international organisations including the United Nations and the European Union, as well as by governments across the globe to present its model of non-detention of families. Developments in international law clearly provide that children should never be detained because of their or their parents’ migration status and that family unity should be maintained. The Committee has further stated that states should develop alternatives that “allow children to remain with family members and/or guardians…and be accommodated as a family in non-custodial, community-based contexts while their immigration status is being resolved”. 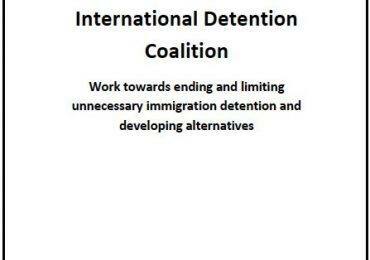 The International Detention Coalition urges the Belgian government to refrain from detaining children or their family members for migration-related reasons. Flemish Refugee Action’s analysis of the new Belgian coalition government’s policy on asylum and migration (in Flemish) here.